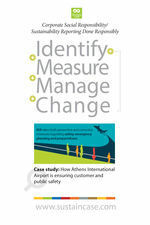 As Greece’s busiest airport, facing continuous increases in passenger traffic, safety is the top material issue for Athens International Airport (AIA). As a result, AIA takes both preventive and corrective measures regarding safety, emergency planning and preparedness, developing and maintaining a safe and resilient airport operating environment. 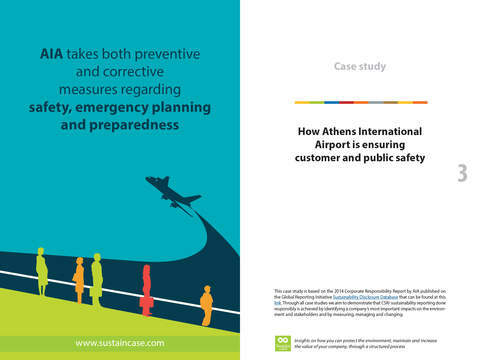 Customer and public safety is unquestionably the top priority for AIA as Greece’s busiest airport, facing constant increases in both domestic and international passengers. 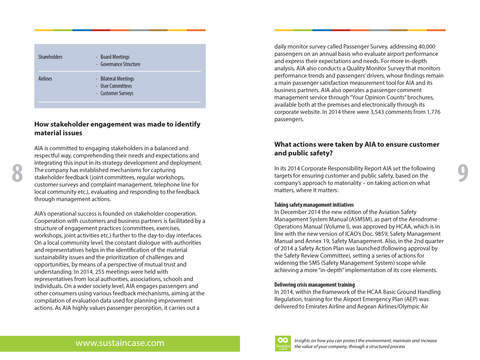 After measuring and setting targets, AIA took action to improve safety management through a number of initiatives such as a Safety Action Plan launched in the 2nd quarter of 2014, deliver crisis management training and, also, ensure airport security and fire safety, as well as customer and public health, safety and hygiene – in 2014, 149 health and safety inspections were carried out at the Airport premises –, in addition to practicing emergency exercises.